Vithey Microfinance Plc. a private institution, born from a nongovernment organization named Cambodia Community Building which was granted a license from Ministry of Interior No. 770 SCN dated 29 August 1996, and obtained the license as microfinance operator from National Bank of Cambodia on 02nd February, 2017 with the business objective to evaluate poverty and support the people living condition throughout the country. Vithey Microfinance Plc. provides convenient loan accesses, fast services, and the clear loan analytic systems, especially consists of friendly and professional staff to serve its clients that need loan services. 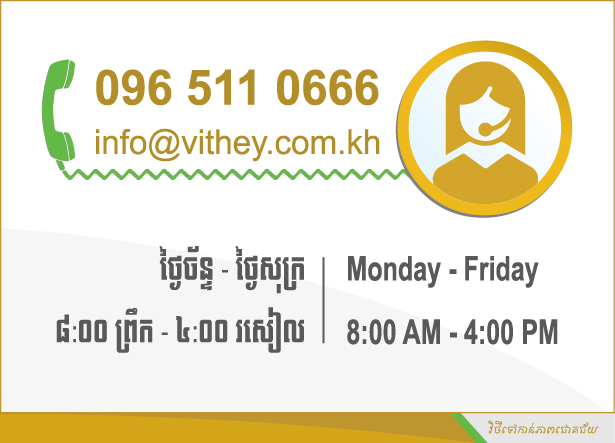 As of the first quarter of 2017, Vithey has 4 operational offices in Phnom Penh city and Kandal province, and the institution planed to extend more operational areas to reach all provinces and cities in the Kingdom of Cambodia in order to fulfill the needs of clients a long with the development of Cambodia’s economic. Having been understanding the potential of Khmer Riel Currency in upgrading the nation’s interest, unity, trading and investment related, Vithey Mirofinance Plc. 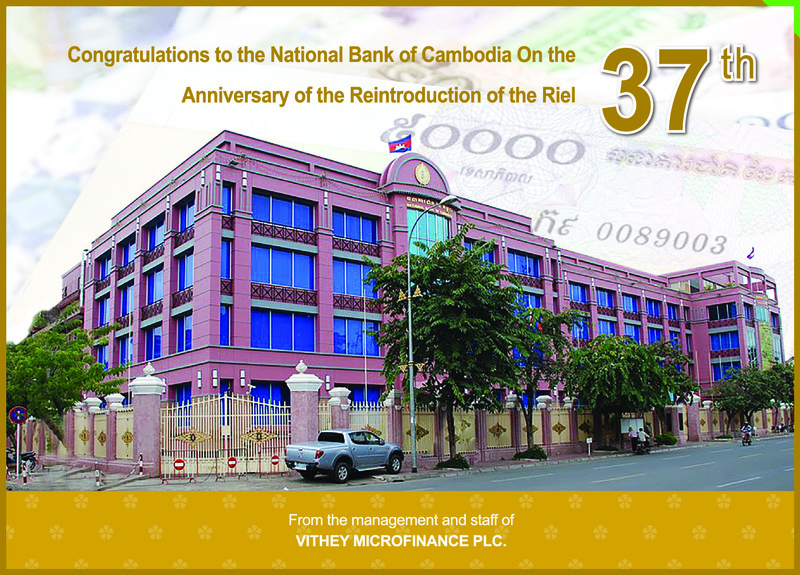 would like to show our sincere supports and congratulation to the 37th Khmer Riel Traffic Launching of National Bank of Cambodia. 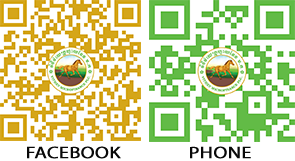 Vithey is committed to support the upgrading of Khmer Riel Currency Trafficking and Value through the increasing of loan outstanding in Khmer Riel as well as other expense.